Join us in our popular and stylish restaurant in Hexham and experience authentic Indian cooking at its very best - Saathi style. We bring you traditional curries and our unique regional tastes, using a combination of authentic and modern cooking techniques. Fresh seasonal ingredients, along with freshly ground and blended spices, are specially prepared by Titu and his chefs; Abdul Khalik and Abdul Malique, to create great tasting Indian food. Dine in elegant and stylish surroundings, relax and enjoy our excellent customer service. Please let us know of any special requirements you may have. Why not try your own recipe? Your favourite meat or fish, herbs and spices, married with Saathi's own curry sauces and prepared to order. 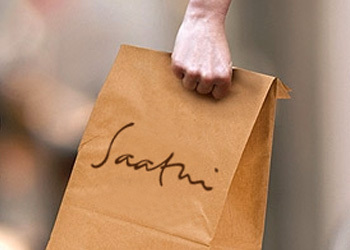 We hope you to enjoy your Saathi experience. If you like it very hot, or with less garlic, no onions, or with a special ingredient such as fangash - a native fish from Bangladesh; grilled and fried, cooked with a range of medium spices with peeled tomatoes, whole coriander for an explosion of flavour and herbs. *(please note: we do need advance notice of 2 to 5 days). Indian TakeAway meals from Saathi's in Hexham feature our restaurant quality food which is always freshly prepared to order. 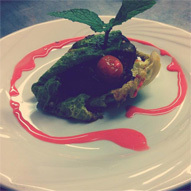 We will happily prepare dishes to your own special tastes, ingredients and requirements - just let us know in good time. Please use our simple online TakeAway order form or download or Menu and phone 01434 603509. Orders for our Indian Take Away service is available between 5.30pm to 11.30pm every evening. 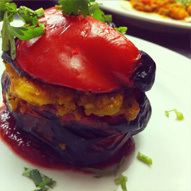 Please note: Saathi's menus have been recently updated and include new prices. The new menus will be added to the website soon. Unique catering for private parties and events - have Tandoor will travel - Titu loves a party and will happily turn up with his traditional Tandoori oven and catering equipment specially made in brass to his own requirements and imported from Rajasthan. Enjoy Titu's cooking for an unrivalled experience for your guests in your own home or event - Saathi can cater for dinner parties for 10 up to weddings and events for 250 guests or more! 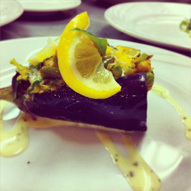 Saathi's are please to announce a series of courses hosted by Chef Titu Ahad. You will be taught how to prepare and combine fresh ingredients, herbs and spices to create curries, side dishes and traditional breads that reflect the spirit of Saathi's cuisine that can easily be replicated at home without Tandoor ovens or specialist equipment. 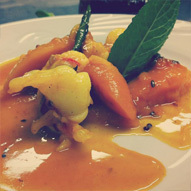 You will be able to sample the cooking and enjoy some refreshment during the course. Expect to take home the best Indian Takeaway ever! A HEXHAM restaurant has been named the best of its kind in the region. Saathi, run by Titu Ahad, won the award for Best Indian Restaurant in the North-East... Read more. Bangladesh: Guest of renowned Bangladeshi chef, Keka Ferdousi at Channel i reception and dinner. Sports Nutrition: Titu had the honour and a privilege to be the official caterer for ISENC at Newcastle University. The event was attended by Global Elite Nutritionists and included representatives from Barcelona, Chelsea and Arsenal football clubs along with nutritionists from 35 different countries. Sir Chris Hoy was the special guest. Prestigious Award: Saathi Hexham won the Best Indian Restaurant in the North-East, awarded by Princess Anne at the International Indian Chef of the Year Awards 2017. The competition was set up in 1991 by world-famous chef Tommy Miah MBE. The International The Chef TV Reality Show: competition on Channel i (Sky 833), the brainchild of Titu and childhood friend Mohammad Alamgir and Kareem and Abdul Boshar, a Northern i Production. A project, designed to combat a recruitment shortage in the Indian catering industry, which has encouraged numerous chefs to showcase their talent. The second season went on air in February 2018. Training the Professionals: The Inn Collection Group approached Titu to providing training for their Head Chefs in authentic Indian cookery skills. Charity work: Titu is actively involved in fund-raising for local charity Tynedale Hospice and also for Prostrate Cancer. Schools & Community: Local school children are invited to Saathi's restaurant to experience how the kitchen works and to introduce them to real Indian cookery. We are open all week every evening, Monday to Sunday, 5.30pm to 11.30pm*. For any enquiries, bookings or our catering services, or if you'd like to give us some feedback about Saathi's Indian Restaurant or TakeAway Service, please call 01434 603509 or use our simple contact form below.